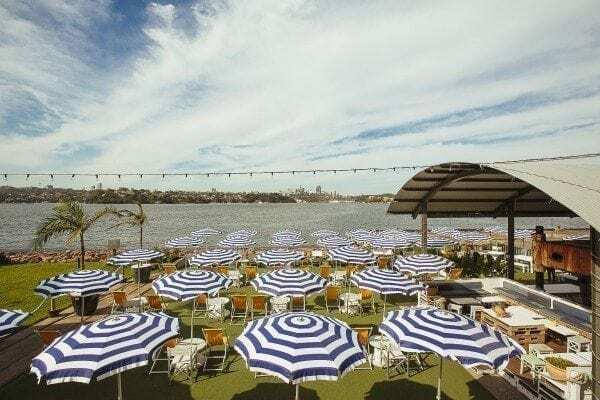 Sponsored by Sydney Harbour Federation Trust. 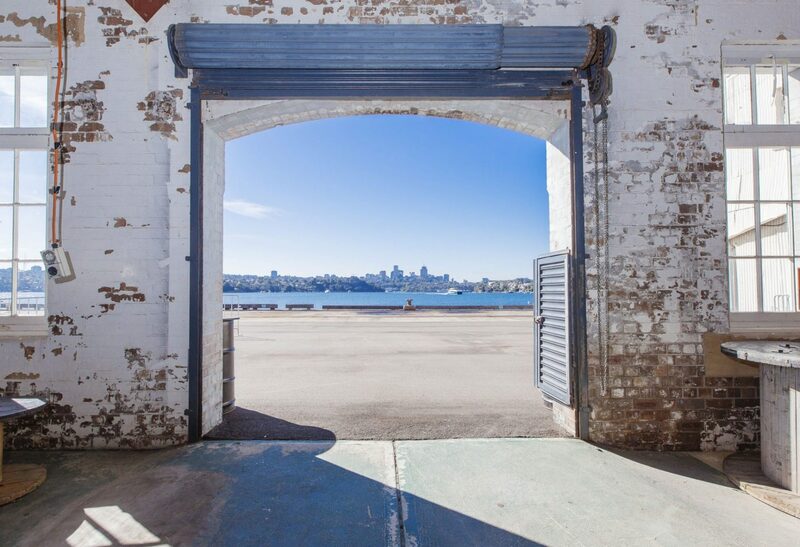 Sydney Harbour is home to local icons like the Sydney Harbour Bridge and the Sydney Opera House, but it’s also where you’ll find one of the most unique islands in Australia – Cockatoo Island. 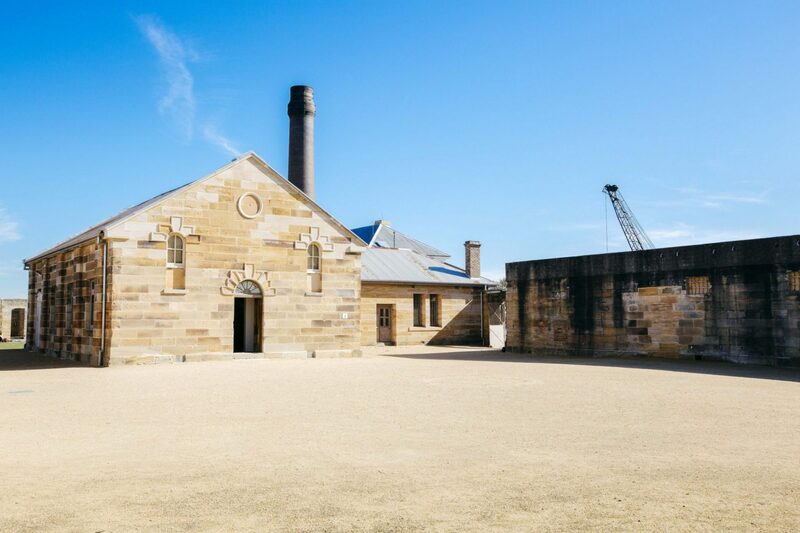 Located smack bang in the middle of Sydney Harbour, Cockatoo Island is not what you’d expect. 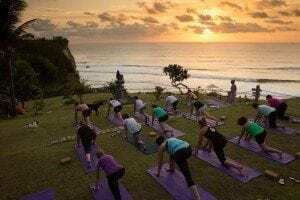 There are no white sand beaches, palm trees or even swimmable water, but what it lacks in tropicalness, it makes up for with its interesting history. 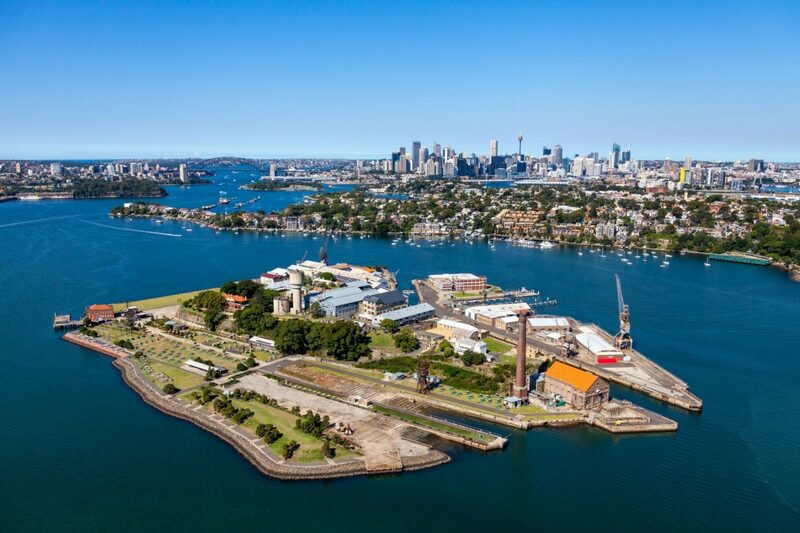 Back in the day, Cockatoo Island was a dockyard and shipbuilding complex, and was used as a convict prison, making it a UNESCO world-heritage-listed island. These days Cockatoo Island is famous for its waterfront camping and summery island bar. So one afternoon after work, we jumped on a ferry at Circular Quay and headed out to Cockatoo Island to experience island life on this incredibly unique harbour destination. 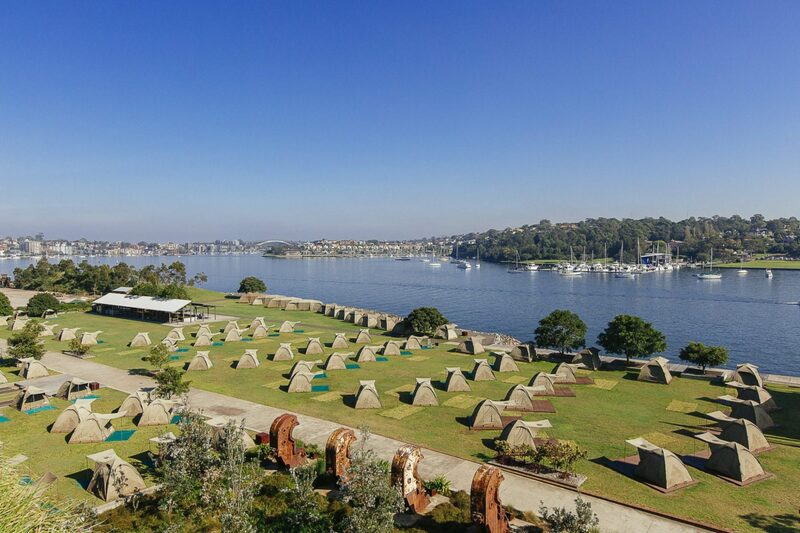 On Cockatoo Island there’s an array of different camping options. You can bring your own tent or you can bypass the worst part of camping (putting up the tent) and go with the glamping (glamorous-camping) option. 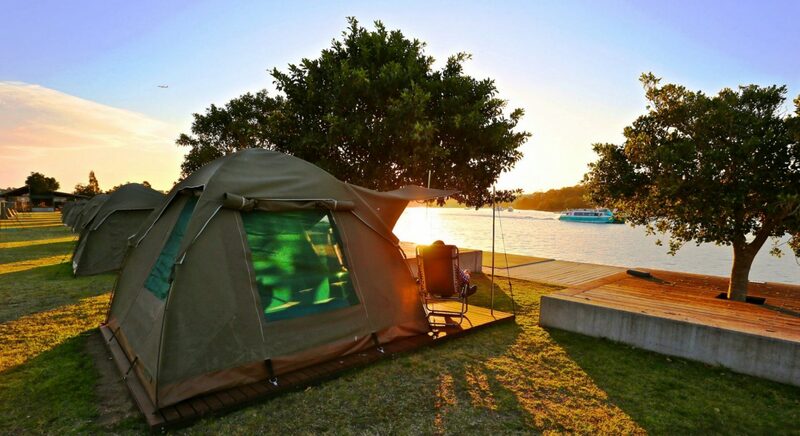 Along with a picture perfect waterfront location, your tent comes pre-erected with twin or double beds, deck chairs, a lantern and even an esky. There is a camp kitchen with a fridge, coffee machine, microwave and BBQs, and really decent bathrooms with hot showers. If you get sick of the jaw-dropping views from your tent, you can pop over to your local – The Island Bar. Keeping with the island’s history, the bar has been constructed from recycled shipping containers, giving it a cool industrial look. Our evening under the stars wrapped up pretty early after being gate crashed by a massive storm. But even with the heavy rain battering our tent, we remained warm and cosy. 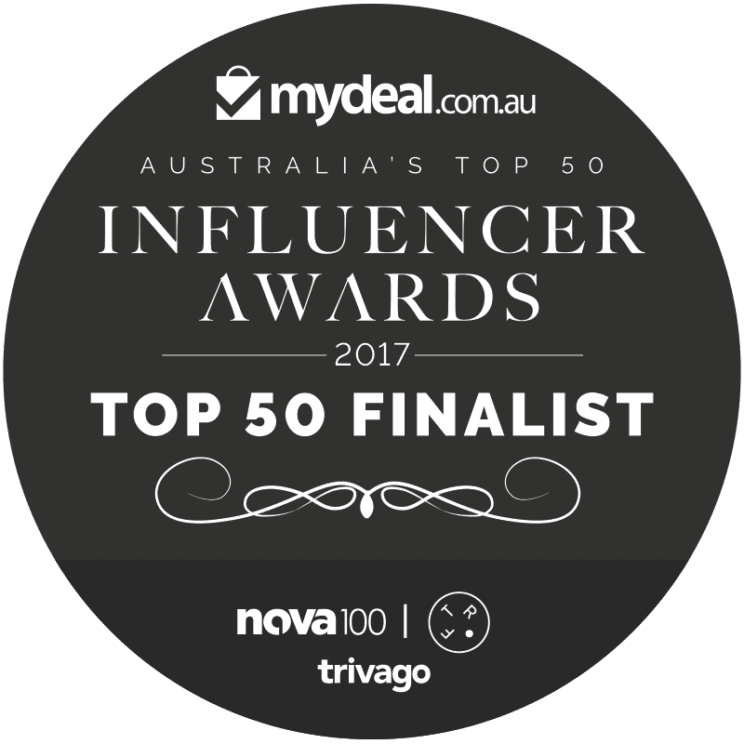 Whether you’re a Sydney local or in town as a visitor, glamping and camping on Cockatoo Island is a super fun and unique experience. It’s a totally different way to appreciate our beautiful harbour and if you plan your trip around the summer storms, it’s perfect for a balmy night. Camping site (BYO tent): $45–$50. 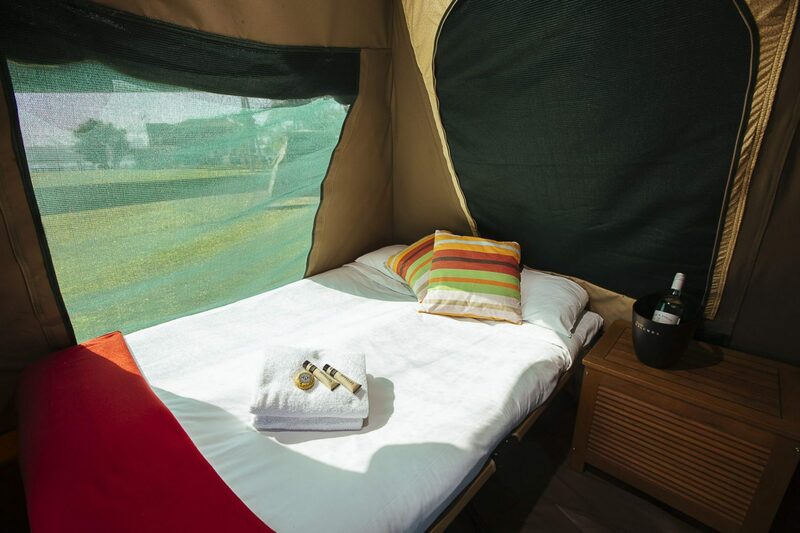 One-bedroom glamping package: $150–$175 per night. 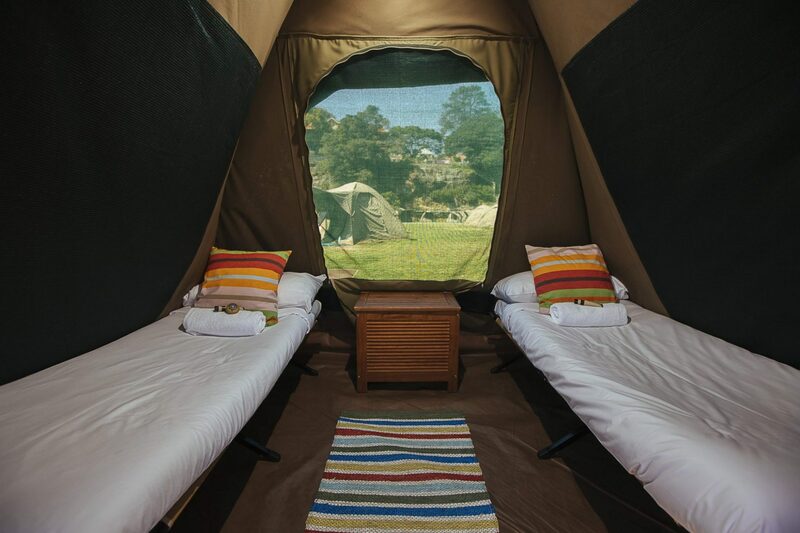 Two-bedroom glamping package: $310–$360 per night. 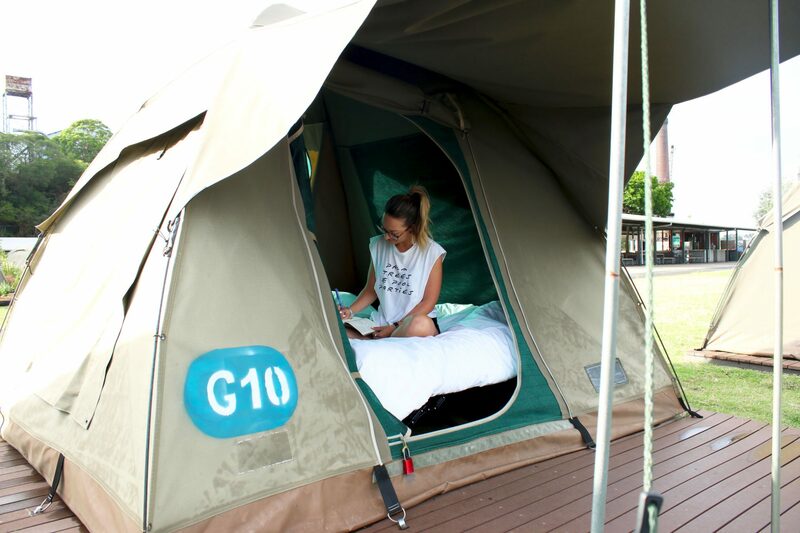 Mini glamping package: $130-$155 per night. If you prefer your structures more solid, there are also a range of apartments and heritage-listed houses to stay at. 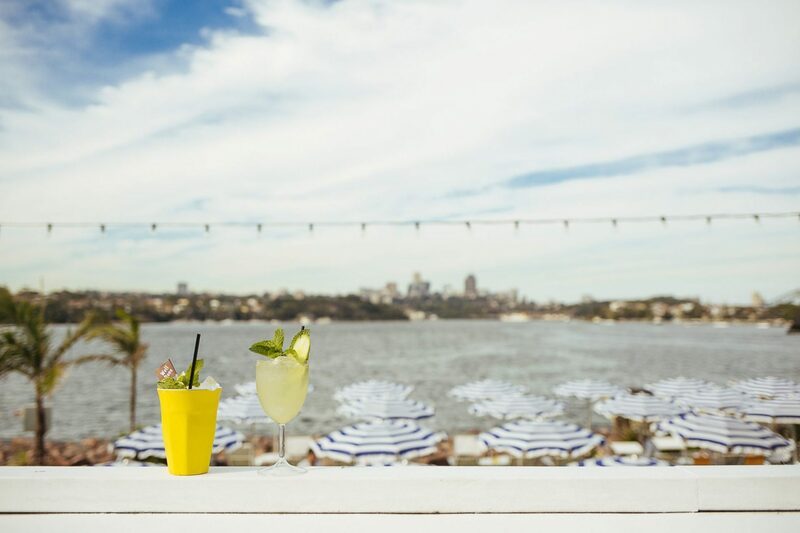 You don’t need to stay overnight on Cockatoo Island to visit The Island Bar. Head over for sundowners in the afternoon and catch the ferry back home. Opening hours vary throughout the year depending on season. Check opening hours here. Getting to Cockatoo Island is a short scenic ferry ride across the harbour. Services operate daily from Circular Quay, Darling Harbour and other inner harbour wharfs. Timetables and more information here.